TORONTO, Feb. 20, 2019 (GLOBE NEWSWIRE) — Axiom Real-Time Metrics, premier provider of unified eClinical solutions and services, has been awarded three new studies using its powerful Fusion eClinical Suite’s IWRS Module. TORONTO, Oct. 16, 2018 (GLOBE NEWSWIRE) — Axiom Real-Time Metrics, premier provider of unified eClinical solutions and services, is exhibiting at the Outsourcing in Clinical Trials event in Vancouver, Canada October 16-17, 2018. TORONTO, Sept. 24, 2018 (GLOBE NEWSWIRE) — Axiom Real-Time Metrics, premier provider of unified eClinical solutions and services, is attending the MedTech Conference in Philadelphia, Pennsylvania, September 24-26th. The MedTech Conference is hosted by AdvaMed, the Advanced Medical Technology Association. 3,000 of the world’s leading medtech executives will be attending this event, featuring world-class plenary speakers, a wide array of educational programming, valuable networking and business development opportunities. TORONTO, Sept. 24, 2018 (GLOBE NEWSWIRE) — Axiom Real-Time Metrics, premier provider of unified eClinical solutions and services, is exhibiting at the Society for Clinical Data Management 2018 Annual Conference in Seattle, Washington from September 23-26th. Attendees will have the opportunity to participate in interactive data management sessions led by executive speakers and network with exhibitors, sponsors and other data management professionals. TORONTO, June 22, 2018 (GLOBE NEWSWIRE) — Axiom Real-Time Metrics, premier provider of unified eClinical solutions and services, is exhibiting at the DIA Global Annual Meeting from June 24-28, 2018 in Boston. TORONTO, June 01, 2018 (GLOBE NEWSWIRE) — Axiom Real-Time Metrics, premier provider of unified eClinical solutions and services, is exhibiting at the ASCO Annual Meeting from June 2-4, 2018. The 2018 ASCO Annual Meeting will bring together over 32,000 oncology professionals from across the world to discuss state-of-the-art treatment modalities, new therapies and ongoing controversies in the field. Axiom is positioned at Booth 20120 and attendees are invited to join Axiom team members for a refreshing beverage. “Our team is looking forward to speaking with attendees and sharing information about how our award winning Fusion eClinical Suite helps organizations manage their clinical trials more effectively and efficiently. Being ‘Truly Unified’ makes our product offering unique in the industry, and we are always passionate about sharing what that really means and how that benefits our clients short and long term. By delivering a connected hub, Fusion empowers sponsors to successfully manage every aspect of their study via a single log-on. Included in the connected hub are EDC, DM, IWRS, CTMS, Inventory Management, Payment Tracking, and other significant components,” conveyed Andrew Schachter, Founder and CEO. TORONTO, April 23, 2018 (GLOBE NEWSWIRE) — The 2018 event is the 5th annual edition of the conference and brings together leading pharma and biotech professionals working in the oncology space from across the West Coast region. 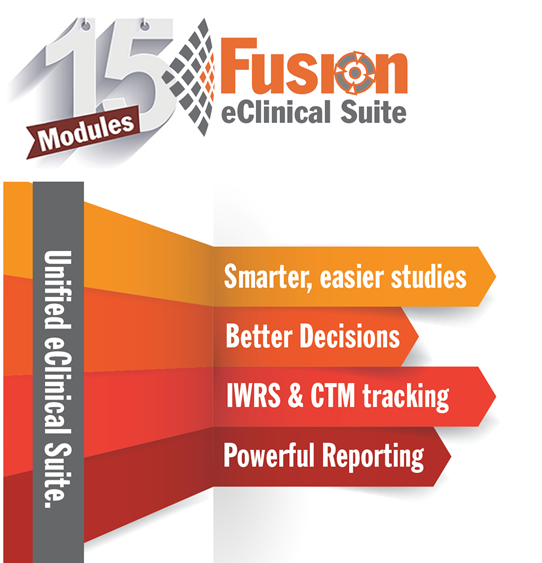 “Fusion eClinical Suite provides uniquely tailored reports to support clinical oncology studies, including tumour response assessment and tracking, patient profiles, and biomarker reports. Axiom’s client roster includes many sponsors working on global oncology and plasma cell disorders including studies for the treatment of Multiple Myeloma, AML, CML, Hodgkin Lymphoma and Leukemia, among others. The easy-to-use, modular suite of tools is extremely flexible, enabling sponsors to manage all study data from Phase I to complex Phase III trials without having to change platforms or source additional vendors. It works exceptionally well for all studies, supporting US to global studies and enabling them to operate with far greater efficiency – speeding time to market,” shared Dr. Robert Arbeit, Chief Clinical Scientist. TORONTO, March 06, 2018 (GLOBE NEWSWIRE) — Axiom Real-Time Metrics, premier provider of unified eClinical solutions and services, is exhibiting at Clinical Trial Supply New England 2018, March 7-8 in Boston. “We are excited to participate in events focused on Clinical Trial Supply. At the core of Axiom Fusion, our eClinical suite, are the IWRS/IxRS and Inventory Management Modules,” expressed Andrew Schachter, CEO and Founder. Heather Di Fruscia, Axiom’s IWRS expert enthusiastically contributed, “With Fusion’s flexibility and my team’s expertise and IxRS consulting, we work with our clients to choose the right amount of control over subject eligibility and when and how much inventory should be on hand. Fusion’s capacity for automated predictive resupply allows our clients and their preferred vendors to focus on other important study details instead of worrying about sufficient inventory for upcoming subject visits. TORONTO, Feb. 20, 2018 (GLOBE NEWSWIRE) — Axiom Real-Time Metrics, the premier provider of eClinical solutions and services to small to mid-sized life sciences organizations, is exhibiting at Outsourcing in Clinical Trials West Coast 2018, February 21-22 in Burlingame, California. 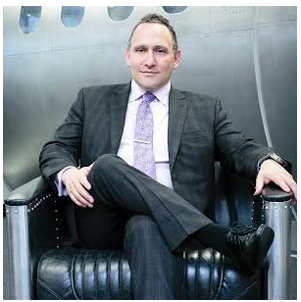 “Axiom has an extensive client network on the west coast and we are excited to participate in events such as this, which connect us with leading edge companies to develop new relationships,” expressed Andrew Schachter, CEO and Founder. Axiom invites attendees to join our team for a conversation over coffee at Booth 25. “Outsourcing is a critical element that must be well managed to achieve success in the life sciences industry, and we are very passionate about playing a key role in our client’s technology needs. Our software solutions are relied upon daily by our clients, so their teams can effectively manage their studies, and get products to market faster. We collaborate closely with our clients to develop, design, and launch new features and functionalities that solve key problems. Our product road map includes many innovations that are unique to the market and significantly influenced by client input,” shared Heather Williams, Senior Director of Client Engagement. TORONTO, Dec. 06, 2017 (GLOBE NEWSWIRE) — Axiom Real-Time Metrics, the premier provider of eClinical software solutions and services to small to mid-sized life sciences organizations, will be exhibiting at the 2017 ASH Annual Meeting in Atlanta, Georgia, December 9-11, 2017. TORONTO, ON–(Marketwired – September 25, 2017) – Axiom Real-Time Metrics, the premier provider of eClinical solutions and services to small to mid-sized life sciences organizations, is exhibiting at Outsourcing in Clinical Trials Southern California 2017, September 27-28. Axiom invites attendees to join the team for a conversation over coffee at Booth 06. TORONTO, ON–(Marketwired – September 22, 2017) – Axiom Real-Time Metrics, the premier provider of eClinical solutions and services to small to mid-sized life sciences organizations, is attending The MedTech Conference in San Jose, California, September 25-27. The MedTech Conference is hosted by AdvaMed, the Advanced Medical Technology Association. TORONTO, ON–(Marketwired – September 22, 2017) – Axiom Real-Time Metrics, the premier provider of eClinical solutions and services to small to mid-sized life sciences organizations, is exhibiting at the Society for Clinical Data Management 2017 Annual Conference in Orlando, Florida from September 24-26. Axiom encourages attendees to join the team for a conversation over coffee at Booth 101. TORONTO, ON–(Marketwired – September 01, 2017) – Axiom Real-Time Metrics, the premier provider of eClinical solutions and services to small to mid-sized life sciences organizations, is exhibiting at the Outsourcing in Clinical Trials: New England 2017 in Boston, Massachusetts, September 6-7, 2017. Axiom encourages attendees to join the team for a conversation over coffee at Booth 19. TORONTO, ON–(Marketwired – June 22, 2017) – Axiom Real-Time Metrics, the premier provider of eClinical solutions and services to small to mid-sized life sciences organizations, is exhibiting at the Outsourcing in Clinical Trials: Medical Devices 2017 in Santa Clara, California, June 27-28, 2017. Axiom encourages attendees to join the team for a conversation over coffee at Booth 06. Axiom Real-Time Metrics, the premier provider of eClinical software solutions and services to small to mid-sized life sciences organizations, will be in Chicago, Illinois from June 17th to 21st exhibiting at the 2017 DIA Annual Meeting. DIA’s event brings thousands of professionals together to foster innovation that leads to the development of safe and effective products and therapies to patients. Axiom Real-Time Metrics, the premier provider of eClinical software solutions and services to small to mid-sized life sciences organizations, will be exhibiting at the 2017 ASCO Annual Meeting in Chicago, Illinois June 3-5, 2017. Axiom Real-Time Metrics, the premier provider of eClinical software solutions and services to small to mid-sized life sciences organizations, will be exhibiting at the Advances in Immuno-Oncology Congress taking place in London, UK, on May 15-16, 2017. Axiom Real-Time Metrics, the premier provider of eClinical software solutions and services to small to mid-sized life sciences organizations, will be exhibiting at the World Orphan Drug Congress taking place in Washington, DC on April 20-21, 2017. Axiom invites attendees to join them for a conversation over gourmet coffee at Booth 517. Axiom Real-Time Metrics is exhibiting next week at Outsourcing in Clinical Trials Israel in Tel Aviv at Booth 14. Axiom Real-Time Metrics, the premier provider of eClinical software solutions and services to small to mid-sized life sciences organizations, is celebrating the further expansion of its international footprint with the establishment of its office and team in Beijing, China. Axiom Real-Time Metrics, the premier provider of eClinical software solutions and services to small to mid-sized life sciences organizations, will be exhibiting at the Outsourcing in Clinical Trials event on the West Coast taking place in Burlingame, California on February 22-23, 2017. Axiom invites attendees to join them for gourmet coffee and a conversation at Booth 36. Axiom Real-Time Metrics, the premier provider of eClinical software solutions and services to small to mid-sized life sciences organizations, will be exhibiting at the Annual Conference of the Society for Clinical Data Management (SCDM) in San Diego, CA from September 11th to 13th, 2016. Axiom Real-Time Metrics, the premier provider of eClinical software solutions and services to small to mid-sized life sciences organizations, today announced the appointment of Dr. Robert D. (Bob) Arbeit, MD to their leadership team. Dr. Arbeit is joining Axiom in the capacity of Chief Clinical Scientist. Axiom Real-Time Metrics, the premier provider of eClinical software solutions and services to small to mid-sized life sciences organizations, will be participating in the Clinical Operations Strategy Meeting Europe in London, UK. The meeting is hosted by Proventa International and takes place on July 11, 2016. Axiom Real-Time Metrics, the premier provider of eClinical software solutions and services to small to mid-sized life sciences organizations, is celebrating 15 years as an organization. Founded in 2001, the Canadian born company is celebrating their anniversary milestone and its product, market and geographic growth with an event on August 31, 2016 at its corporate headquarters in Toronto. The event will run from 3:00 to 6:00 PM EDT. Axiom Real-Time Metrics, a leading provider of eClinical software solutions and services provider to small to medium lifesciences, will be in Philadelphia from June 26th to 30th exhibiting at the 2016 DIA Annual Global Meeting. DIA’s annual event brings thousands of professionals together to foster innovation that leads to the development of safe and effective products and therapies to patients. FREMONT, CA–(Marketwired – June 23, 2016) – Axiom Real-Time Metrics today announced that it has been recognized by Pharma Tech Outlook as a Top 10 Clinical Data Management Solution Providers for 2016, and was profiled as the cover story, “Axiom Real-Time Metrics: Truly Unified eClinical Solutions” in its June 2016 issue. Pharma Tech Outlook features its ‘Top 10 Clinical Data Management Solution Providers’ list annually in recognition of the top tech organizations helping businesses around the world. A variety of subjective and objective criteria were used for choosing the winners. “We are thrilled to have our global team members’ hard work and dedication to our clients over the last 15 years recognized by Pharma Tech Outlook magazine. For Axiom’s unified eClinical solution, Fusion, to be profiled and to have the organization featured as the cover story is a significant achievement,” shared Andrew Schachter, CEO and Founder of Axiom. Axiom is celebrating fifteen years as an innovative eClinical solutions and services provider. This milestone has been met through hard work, partnering with clients to meet their true needs, and operating as a leader forging industry disruption. In a landscape of many players— including many large players— Axiom is unique. Axiom’s focus has always been on Axiom’s Fusion eClinical Suite. Developed and managed entirely in-house, Fusion is completely unified. All functionality that Axiom offers can be accessed directly within Fusion via a single login. This is significant— because all technology is delivered by a single source, the need to work with multiple vendors is eliminated.